Get out from Hachiko-Exit of JR/METRO Shibuya Station. Across the Shibuya Crossing to Sanzenri Drugstore/109 MEN’S. 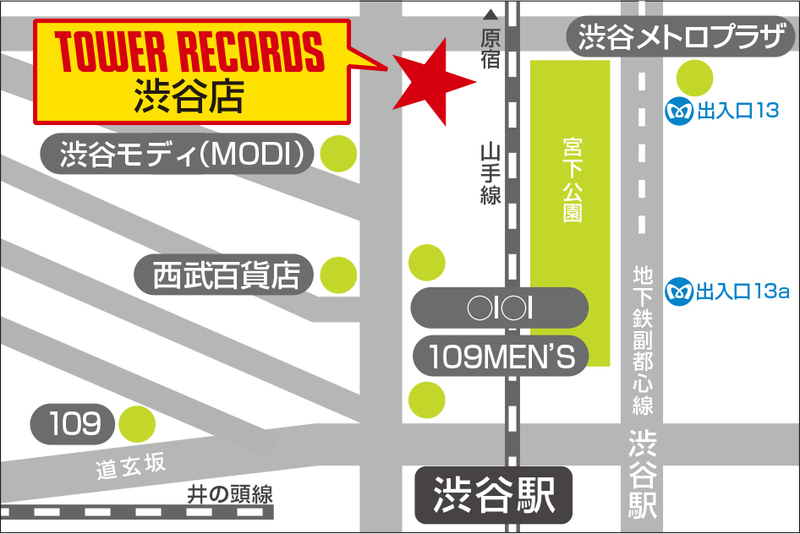 Walk through OIOI JAM (Marui Jam) and MODI. 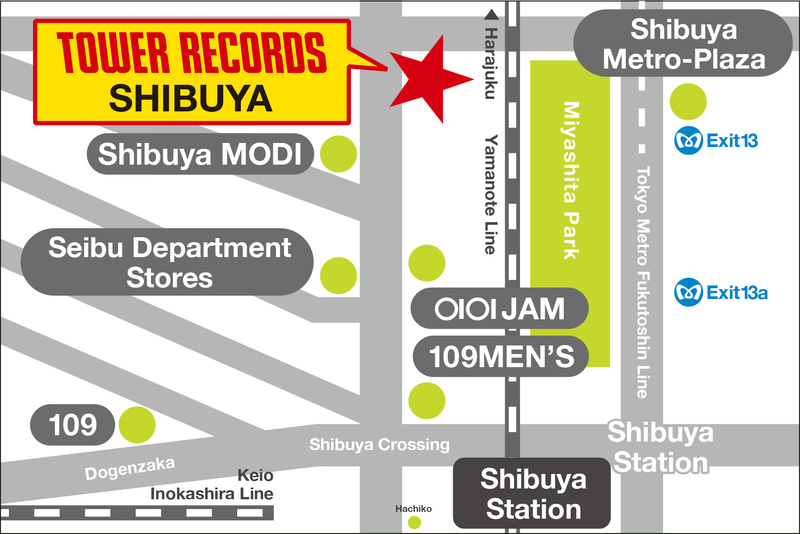 Then you will find TOWER RECORDS on the right side of the street. It takes 3 minutes by walk froom Shibuya station.